Columbia University Press, 9780231167925, 288pp. Language did not evolve only in the distant past. Our shared understanding of the meanings of words is ever-changing, and we make conscious, rational decisions about which words to use and what to mean by them every day. 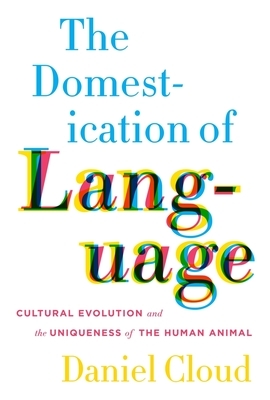 Applying Charles Darwin's theory of "unconscious artificial selection" to the evolution of linguistic conventions, Daniel Cloud suggests a new, evolutionary explanation for the rich, complex, and continually reinvented meanings of our words. The choice of which words to use and in which sense to use them is both a "selection event" and an intentional decision, making Darwin's account of artificial selection a particularly compelling model of the evolution of words. After drawing an analogy between the theory of domestication offered by Darwin and the evolution of human languages and cultures, Cloud applies his analytical framework to the question of what makes humans unique and how they became that way. He incorporates insights from David Lewis's Convention, Brian Skyrms's Signals, and Kim Sterelny's Evolved Apprentice, all while emphasizing the role of deliberate human choice in the crafting of language over time. His clever and intuitive model casts humans' cultural and linguistic evolution as an integrated, dynamic process, with results that reach into all corners of our private lives and public character.